Simply take a cone, put in one slice of cake with the largest end in first. 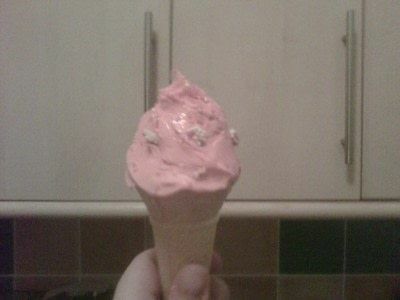 then spread your frosting all over and shape to look like ice cream. Then decorate with sprinkles. Easy!